Amazing cream to give you beach-ready skin! I first tried this last year with a small tube and was amazed by the effect it had on my post-winter legs. I therefore bought a larger tube and used it before having to expose my dry, flaky and slightly "bumpy" legs to the sun whilst on holiday. The result was lovely, smooth legs on the beach. Following such good results I recently bought another two larger tubes so that I always have some to hand and have started on the post-winter routine again with good results after only a week. However, I know that after about 4 weeks my legs will be in great condition and ready for the spring and summer with the occasional need for a top up I don't use Ameliorate on the rest of my body, but would have no hesitation in doing so if I thought it was necessary. I know some people complain about the smell, but I like it and anyway isn't a smell you don't like much worth putting up with to have smooth, moisturised skin? I suffer from dry skin and kp on my thighs, upper arms and stomach. Tried so many products which never made much difference and just amounted to a waste of money! I bought the 3 step starter kit from this range and after just one use of the exfoliation, body wash and lotion my skin feels softer and more supple. Some people don't like the smell but I quite like it! Smells fresh and clean. The lotion isn't greasy and absorbs instantly. Will definitely be purchasing more products in larger sizes. This stuff is a miracle! Thank you Ameliorate! The only thing I have ever found that works!!! I have suffered from Keratosis Pilaris on the backs of my thighs for as long as I can remember, it has always bothered me but I thought they were just spots. I've tried everything over the years, different moisturisers, spot creams and daily scrubbing but nothing ever worked... until I discovered this product and within just three weeks my skin is soooo smooth- I can't stop touching my thighs, I can't quite believe how well it has worked! This product is incredible and I can't recommend it enough! First of all, let’s talk about the shipping, I’m from India and mostly my parcels are lost in transit but this stuff was at my doorstep in 4 days! I was pleasantly surprised. It’s been a month I’ve been using it and I can’t stop touching my shoulders! When I had KP, I never liked running my hands over my shoulders because when touched, they used to kinda tingle and some were painful (not too much). I’m a first time reviewer but I just can’t stop myself from giving this a review! 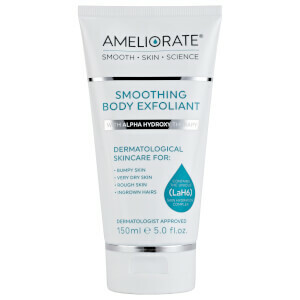 If your problem is same as mine, dry skin and KP, Ameliorate has your back! This product is INCREDIBLE!!!! The tops of my arms and thighs were bumpy and felt horrible to touch no matter how much I exfoliated and moisturised then I discovered this and it's just fantastic !!!! Worth every penny!! I've only been using this for a week and have already noticed a significant improvement. I've struggled with fairly severe kp my whole life, and I'm so glad I've found this product! I have had KP on my arms and legs my whole life, which has caused me quite a lot of anxiety. I ALWAYS cover my arms because of it. This lotion is incredible. 3 weeks of use (mostly) twice a day and it's virtually gone on my arms. I purposefully didn't try it on my legs to see the difference and it's quite remarkable. I feel so liberated to be able to wear what I want now! Wish I had discovered this sooner. Amazing product from the first application literally transformed my dry skin to unbelievable smooth and soft especially my legs which has patches of keratosis pilaris. I have tried lots of products to try and improve the look and feel even products specially recommended to me by a dermatologist for this skin condition which were effective to some extent but not to the effectiveness of this body lotion. The lotion is a pleasure to apply absorbs easily and does not leave a residue on the skin you are left with beautiful soft and moisturised skin. I have also tried the body exfoliant as well and would recommend the 2 products together and you will be left with amazing skin!? I've had red bumpy skin on my cheeks for years, nothing I did made it go away. 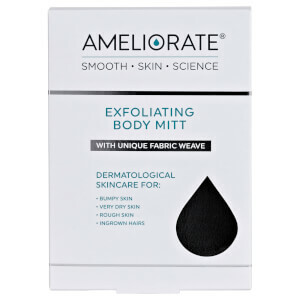 I scrubbed and scrubbed with mitts and used harsh exfoliators hoping they would help but they only made them worse. I also used loads of different products but nothing helped at all. Im a nursing monthsr so I'm not in a position to have skin peels at the moment, and pregnancy seemed to make my skin even worse. I can across this product and have eneen using it for 3 weeks now, my skin isn't perfect yet but it is amazingly better!!! It is less red and angry and definately less bumpy! I'm hoping it will continue to get even better. It's the best product I have used, and what's more, it is cruelty free and can be used when pregnant and breastfeeding! The product also goes a long way so it is also economical. It runs in well and isn't greasy. The exfoliator makes me skin look instantly 100 times better too. I love it, would totally recommend it to anyone with a similar problem.